This action/adventure/ sci fi follows Rhyous as he makes his way through the wasteland trying to find Eden believing it to be the last safe place in a world of poverty and war. 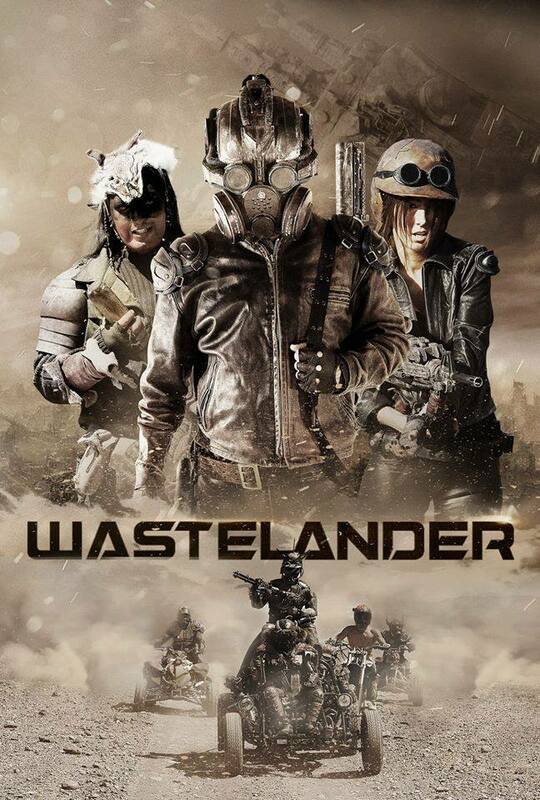 As he goes through raided towns he finds himself amidst a war between raiders, known as The Scourge, and the towns folk just trying to survive and protect what is theirs. Along the way he makes a few allies amongst the enemies but will he be able to help them when/if he finds Eden or is this just another myth?! For it's low budget the use of green screen visual effects and some pretty awesome costumes are very effective. Some of the visuals are better than others but they all add to the futuristic post apocalyptic back drop in a positive way. The costumes look great and seem to be somewhere in between Mad Max and the sand people from Star Wars. The use of voice concealers and masks are pretty cool. It is also great to see women in these costumes fighting alongside the men and kicking arse! I did however find that the dialogue dragged it along quite painfully which was a disappointment. Rhyous played by Brendan Guy Murphy did his best to carry it along and did an okay job of it but there is only so much one guy can do. The female characters on The Scourges side were alright but luckily they did not have bigger roles as they were a bit wooden. The same can be said of Carol Cardenas as Neve who certainly looked the part but was probably a bit out of her depth in this role. Their attempt at a comedy character was also a bit poor. Jon Proudstar played Solek who just kind of tags along because he has too and makes childish remarks like "I'm watching your six dickhole" but doesn't add a whole lot else to the mix. Those are the only things that I felt let it down anyway, I enjoyed the action scenes, setting and overall concept, you can't help but draw comparisons to other similar movies but on the whole not too bad. 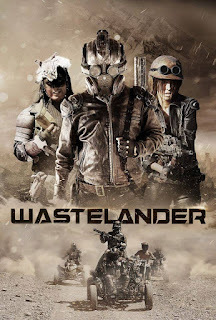 Wastelander isn't a perfect film, but it's a very interesting one, and it's worth the watch.